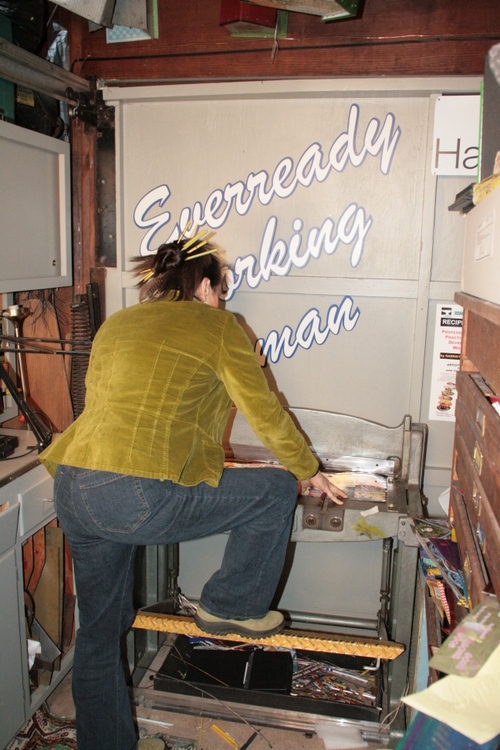 Harriete in the studio : Cutting tins at the shear. 2007/2008. Cutting tins at the shear. 2007/2008. The step shear is 30 inches wide....and a really good quality Pexto from 1960's.